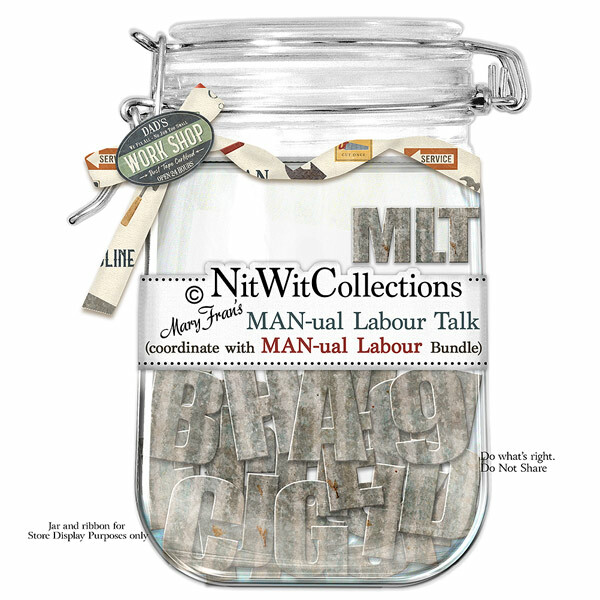 "MAN-ual Labour" Talk is a fabulous way to give names, dates, places, and emotional words the distinction that they deserve with this worn corrugated metal looking alpha to add to your scrapbook layouts, cards and mini albums. Complete the look and feel....it'll make your project perfect! 1 Alphawit set of uppercase letters, &, exclamation mark, question mark and set of numbers(0 to 9).